This upcoming new Moon in Taurus happens on April 26, and, it is a very interesting, and yet challenging, period. It can feel like a real push-me pull-you experience, and, we've been feeling that for some time, but, now it's getting more accentuated. Feelings are amped up as we are being pushed to change, and, change we will, at least in some measure. This new Moon in Taurus carries a flavor of wanting (or needing) to be accepted, respected, a valuable member of the 'tribe', to not feel like an outcast, a reject, like someone who just doesn't measure up. 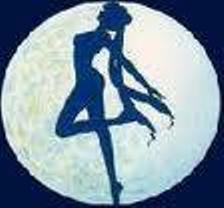 THE SABIAN SYMBOL FOR THIS NEW MOON IS: THE WOMAN OF SAMARIA AT JACOB'S WELL, and, we may at times feel like an alien, as if we don't fit in, are not taken seriously or take up too much space. None of this is what we want or where we want to be going, of course, but, if we can identify any of these reactions, thoughts or feelings, we can see them for what they are and purge them now. This can be a very healing new Moon. The biggest thing with this new Moon period is that Venus (which rules Taurus) is now direct, and, about to move from Pisces into Aries. This will help things along: We've had Venus retrograde conjunct (together with) Chiron, and squaring Saturn for what seems like weeks now. Many have been experiencing the stress of the feeling of having to move away from familiar situations, the need (or the impetus) to let go of something or someone, and, many are feeling the pinch financially as a lot of confidence has been blown out of the economy (and the future). Many feel as though they have been pushed to the wall, and, we may have recognised some old stories coming up about lack. This lack can be about money, absolutely, but, for many, there can also be feelings of loneliness, abandonment, or, the need to be alone (to be left alone) to go deeper in order to work things out. Self-talk and The Stories We Tell Ourself are very much accentuated with Chiron conjunct Venus in Pisces with both square Saturn in Sagittarius - we are shown that it is incredibly valuable to listen to the things we say, not only to our self, but to others. We may have felt tired, worn out, with not much in reserve. We may feel the need to get organised, get going, to break through barriers and to apply ourselves to the things that reward us, and don't feel like continuing to have a heavy weight on our shoulders. Venus is direct now, and about to go into Aries. This will help bring about some big shifts as new ideas, new perceptions, new opportunities come to light. OK, so Venus is finishing up (albeit rather slowly - Venus is just gathering steam) the very stressful Venus/Chiron/Saturn story we've had going on for several days now. It's been hectic, but, rather illuminating. It's good to remember that Saturn can be very rewarding; after all he is the Lord of Karma, and, the influence of Saturn on us, if we have done 'the work', can bring enormous rewards and breakthroughs and we can find ourselves in exactly the place where we wanted, or need, to be. But, we do still need to watch our thoughts and what we are sending out into the multi-verse. The Stories That We Tell Ourselves (Chiron) are always powerful, however, it appears that that is particularly true now. Venus heads straight into Aries right after this new Moon. Venus is showing us the importance of figuring out Venus-bouguereauwhat we want to be doing, how we define ourselves in the world, and, as Venus goes onto the first degree of Aries (The Mermaid degree), we are being asked to both find our voice and our feet. So, there is a welling desire to push forward, BUT, Mercury is still retrograde, and, it will be for another week or so after this new Moon. The message of Mercury at this new Moon is that we can bring back something that we thought was lost - we can renew or revive something (or, our selves). We may have to be careful that we don't 'drop any balls'.... we may need to keep juggling, but, if we're meant to drop any, we will and perhaps we won't notice in amongst it all. Mercury is in a very powerful aspect with not only Uranus (it's conjunct or together with Uranus in Aries), but, it's also trining Saturn. This can bring breakthroughs in understanding, decisions and/or moves made, final resolutions to old stories, a deep letting go of restrictions and moving into the future. In fact, Mercury goes direct smack on Uranus and trine Saturn, so, it's a very strong period of out with the old and in with the new. Mercury is also asking us to be pioneers; to reach out for new objectives, new shores, new beginnings, to do a big, deep let go. Mercury is conjunct Uranus and trine Saturn, giving us an enormous opportunity to break free of past barriers, limitations, sabotaging mechanisms, etc. Mercury might still be retrograde, but, it's doing us some massive favours right now. It's leading us out of the swamp of negative feelings and emotions, and, it's asking that you concentrate on YOU, not on everyone else first, but YOU first. The trick is - are you up to it? The Moon's nodes contain some pretty heavy duty messages for us at the moment - check out the Sabian Symbols for them at the bottom of this newsletter. A sense of sacrifice, loss, wanting to (or having to) hide away can be strongly in the air, but, that is all going to change as the nodes go out of Virgo/Pisces and into Leo/Aquarius. Everything is likely to feel much better, and, we will find it easier to let go of the feelings of loss, sacrifice and displacement that we might have been experiencing. Well THIS Taurus had some exhausting emotional dreams all night! Thanks for posting the new moon energy changes....it affects everyone. My dreams were like a racing video of all that has been hidden. A lot of repressed anger! I'm aware that when I choose the high road and suppress anger I may not be disposing of it properly. And like many others I gather guilt in a sly way. Towards myself. When really I want to be heard. That's a very old wound! Not being heard. Odd, since I am outspoken and a Poet. But I think I am still carrying old habits.....even though it's healed progressively ....this new moon is saying ....get er done! Put it all out on the table and accept this gift of change. NOW. I feel despite the positive habit of looking forward and not dwelling on past oppression......there is a time when the universe comes together for us....so we can ALLOW ourselves to be heard. So, if anyone else is feeling the up and down of what is past and what is being wonderfully offered .......it is all good and this is the time to be your own soul mate and pamper yourself. Soon....we will be called to put our dreams to work! BLESSINGS! Sounds like some good advice, BlMoon! I will take that to heart! My anger was poked yesterday big time! After being let go for apparently not being able to produce any business, the boss is now taking credit for my sales that have come through in the week since I left. While still there, I was very good at letting his BS roll off my back but for some reason now that I am gone, the INJUSTICES have my blood boiling. So I took it out on the Spammer yesterday, LOL. you were quite a warrior yesterday Watergirl:), the spammer must have got frightened as today- no sign of him! Yep Watergirl, spammer deserved it....I'm with you...banning crap. Oh I'm not sorry for giving the spammer a taste of my inner lion Enough is enough, ya know? In ALL aspects of my life!! Your old boss only delays the inevitable. He has to actually pull his own weight. The days of finding some doe eyed young thing to cover his S are long gone! OH...and I sent a nasty gram to Admin about the Spammer on the day I was on a warpath...both privately and publicly on their FB page. It worked, cuz they cleaned it up!